The crew of the San Diego-based Coast Guard Cutter Boutwell recently returned from a deployment in the Eastern Pacific Ocean, bringing with them a lot of unique experiences since before the holidays. Between the initial seizure of 625 kg of cocaine on New Year’s Eve, the rescue and safe return of eight search-and-rescue case survivors, and hosting a 5- and 10-kilometer race in Costa Rica, how did the crew manage to stay so focused on its mission? Yep, you guessed it --- yoga. When operations and sea state permit, the crew gathers on the flight deck near sunset to practice yoga. Led by Lt. j.g. Sarah Colmenero, the unit’s health promotion coordinator (and the ship’s damage control assistant), leads the classes that are tailored for all levels of experience from beginner to the more advanced practitioner. 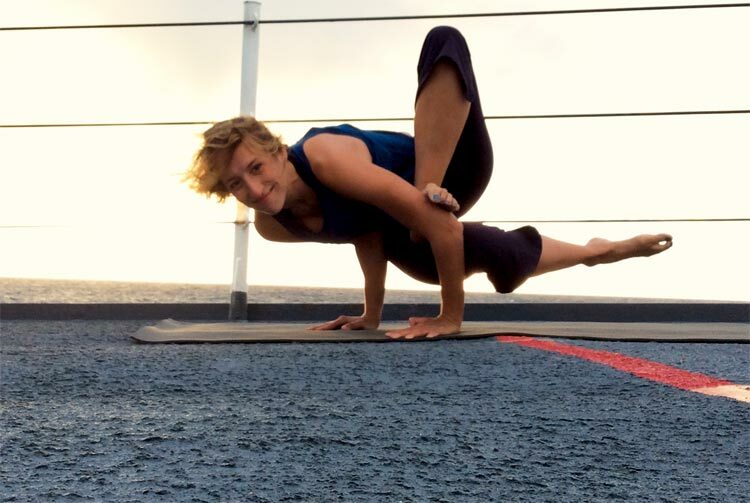 Colmenero plans to continue to give yoga back to the community after her return to San Diego, hoping to teach in her personal time at a local studio and to continue providing classes to her shipmates whenever she is able. Check out the USCG Website and Facebook.